A comfortable employee is a productive one, and a satisfied tenant is a profitable one. Business owners and property managers across the New York City and Long Island region have discovered that window film from Custom Window Tinting in Long Island helps increase comfort for everyone who enters their building. Whether it’s a new facility or retrofit project, by outfitting their windows with LLumar and Vista commercial window film, property owners enjoy greater satisfaction among their tenants, as well as lower energy costs overall. Custom Window Tinting offers professional installation of window film with minimal disruption to your business, and the difference after installation is immediate – glare is reduced, indoor temperatures are more consistent, and customers, tenants and employees are happier overall. They can still enjoy the natural light and views they desire, but get none of the harmful UV rays that can disrupt their comfort and their day. Plus, window films enhance your building’s appearance and complement its design aesthetics. We provide custom window tinting service to Nassau, Suffolk Counties and NYC. Increases comfort by reducing heat and glare - Working in an office in direct sunlight can result in fatigue, eyestrain and loss of concentration. Window film is a retrofit product installed directly to the interior side of the glass. It helps correct temperature imbalances between sunny and shady areas, and it deflects harsh, uncomfortable glare by up to 80%. Reduces heating and cooling costs - Interior heat loss through windows can cause discomfort to building occupants, as well as unnecessarily high energy bills. Low emissivity insulating film applied to the inside face of ordinary single-glazed windows decreases heat loss by up to 30%. In summer, window film reduces the cost of cooling a building by rejecting up to 79% of the sun's heat. Defends against UV rays - Over time, the rays of the sun fade whatever is in their path. But professionally-installed window film from Custom Window Tinting blocks out 99% of the damaging ultraviolet rays that ordinary windows allow in. That means that draperies, furniture, upholstery, and carpeting will last longer. In addition, The Skin Cancer Foundation recommends window film as a protective measure to reduce your workers’ risk of skin cancer and skin damage. Enhances privacy - Translucent or daylight reflection films applied to the inside of your windows will let in light, but guard against prying eyes. Blackout (opaque) film is also available, as is a range of frosted decorative films that provide an attractive finish to internal partitions. Protects your residents and their belongings – Window film’s durability and strength protect your building against break-ins and smash-and-grabs. It’s difficult to break through, ensuring criminals will give up faster. In addition, if damage occurs due to the weather, window film holds glass in place, protecting your tenants from dangerous flying glass. One look at iLLusions decorative film from LLumar, and you’ll know there’s nothing else like it! iLLusions allows you to achieve the look of etched glass in your commercial space at a fraction of the cost. Decorative glass enhancement film puts a new world of creativity, functionality and flexibility within your grasp and within your vision. You can bring color and texture to virtually any glass window, door or room divider—subtly or sensationally. Plus, you have multiple colors and patterns at your disposal. Combine any to create a unique look, diffuse or block light completely, or customize a space with a corporate logo or signage. 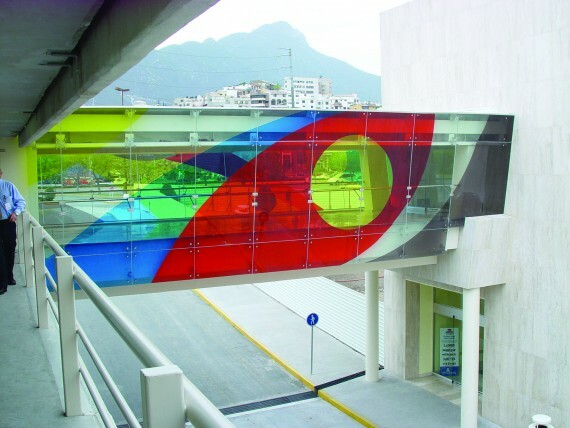 iLLusions decorative film does more than enhance aesthetics—it serves vital functions and can be applied to glass partitions, retail displays, walkways, office doors, conference rooms, and private spaces. Discover the difference LLumar and Vista residential window film can make for your business. Contact Custom Window Tinting in Long Island today to discover all the possibilities and to get your free quote on creating a more comfortable workspace.